I am writing this letter with regards to a request for promotion which was submitted last month. The application was submitted on your behalf by your department on the grounds of exceptional performance and work ethic. (describe in your own words). After much debate and monitoring, the management has decided to agree to your department’s request. It gives me great pleasure to inform you that with effect from (date: DD/MM/YY), your official designation will be [Present job Designation, e.g., Senior Maintenance Engineer]. In addition to the new post, the management has decided to increment your current remuneration by 15% (As Company Rules). (Describe actual cause and situation). Once again, I would like to extend my congratulations to you, and I hope you maintain your impeccable standards at our company. (Describe your requirements). Employees like yourself are highly valued by the management, and we hope to see excel in the future. (Cordially describe your greetings). I am writing this letter to inform you that your application for promotion has been accepted. Citing your work ethic and consistent performances, the management has decided to promote you to the position of [Present job position, e.g., Branch Manager]. (describe in your own words). Your new job designation takes effect from (date), and you will be taking over from all the required duties. 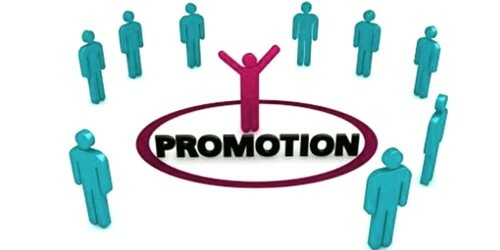 With regards to your new position, the management has decided to provide a 20 percent increment (As company rules) to your salary, in addition to which you will receive a separate housing bonus. (Describe actual cause and situation). On behalf of the entire management, I would like to congratulate you, and we hope you continue your outstanding work at the company. (Cordially describe your greetings).